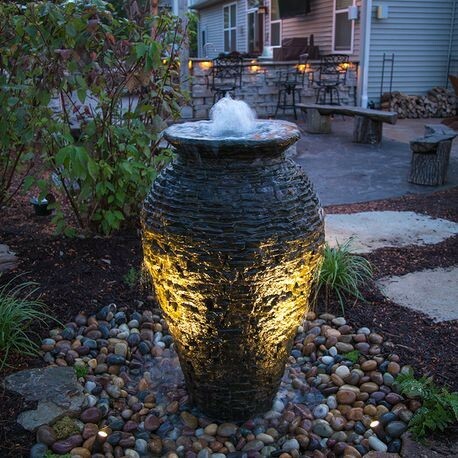 On this page, you view some of our landscape fountain options. 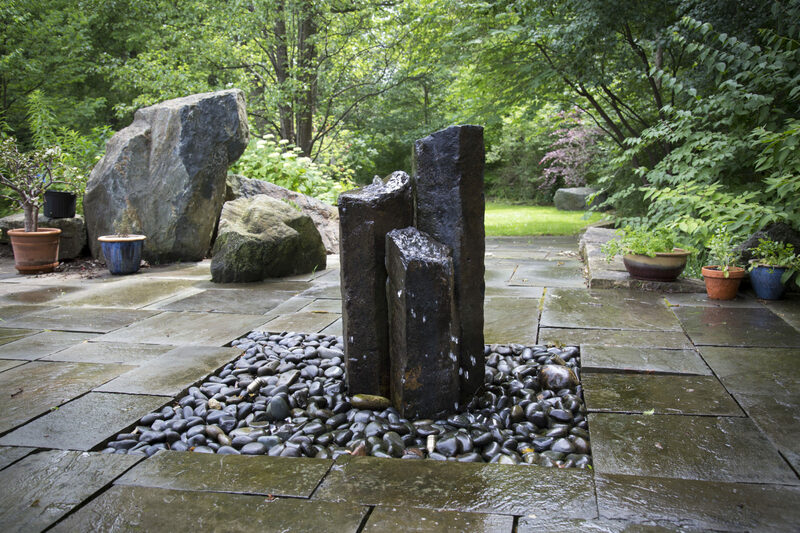 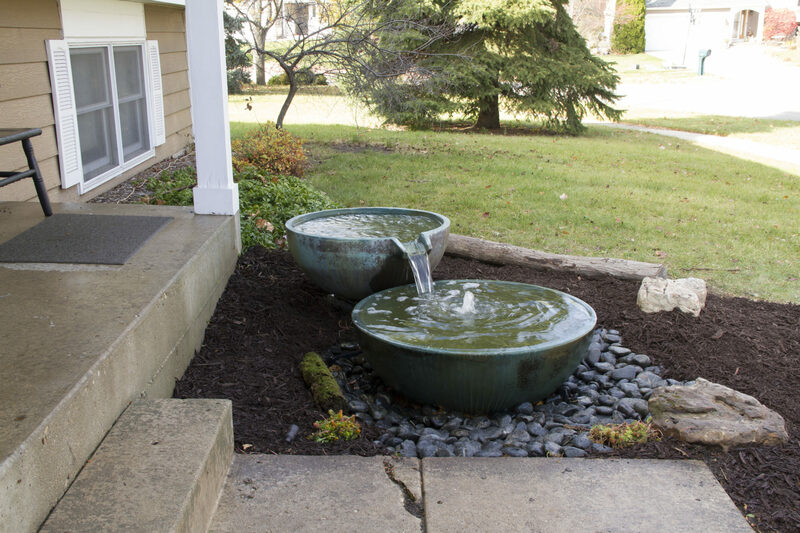 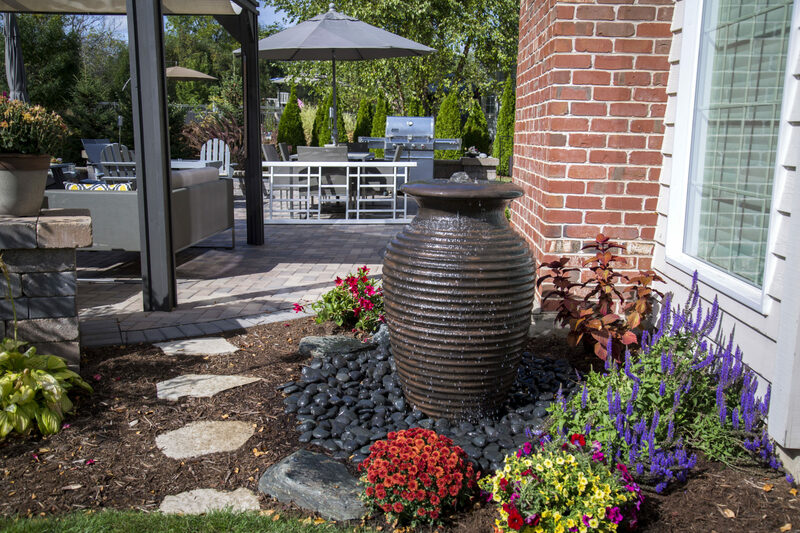 If you are unsure if you have enough space this type of water feature, keep in mind the largest fountains only require about 48 inches of space for the fountains water basin. 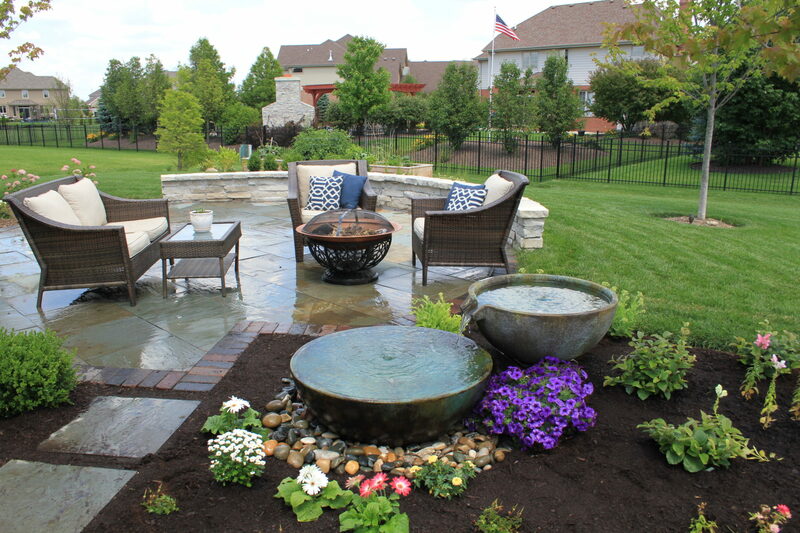 Another fantastic benefit is that maintenance is nearly non existent with a landscape fountain. 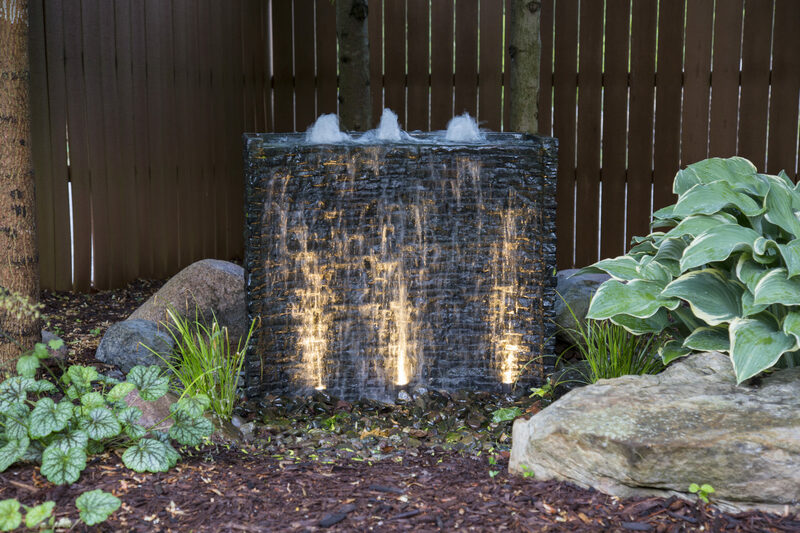 As a CAC, (Certified Aquascape Contractor) our team at Ponds By BEE will install your water feature using the industry best standards and will provide you with all the resources to make your fountain practically maintenance free. 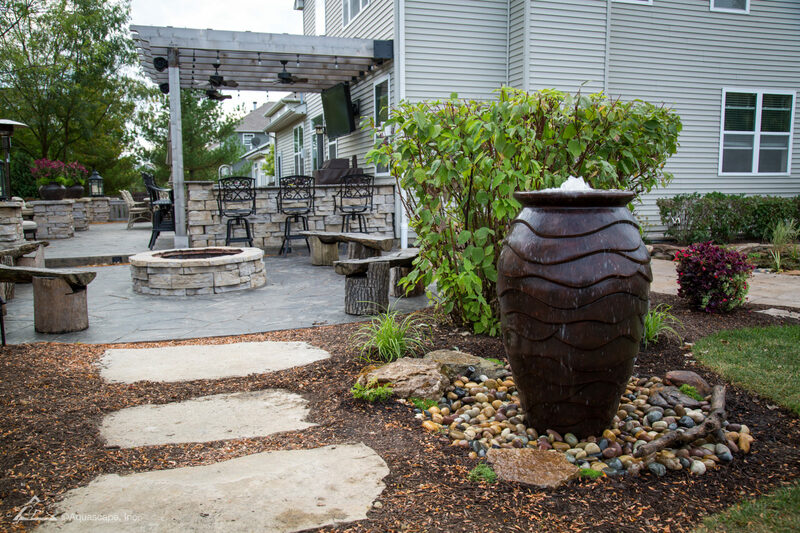 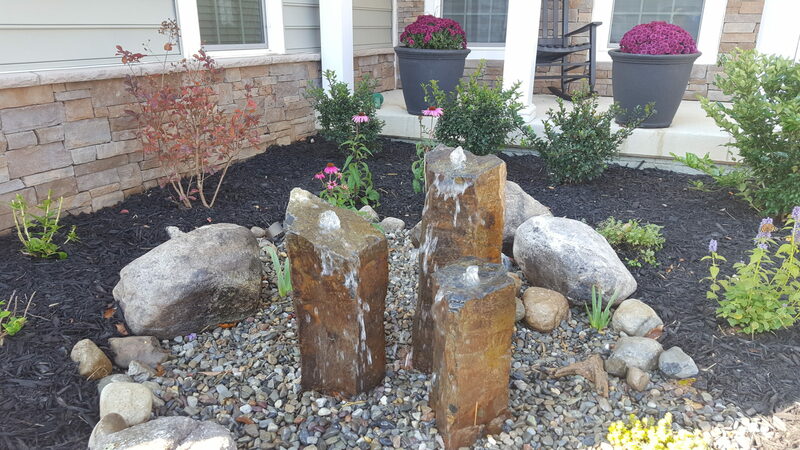 As you look at inspiration photos throughout this page, and anywhere else for that matter, you will notice multiple features and combinations these landscape fountains can be displayed.